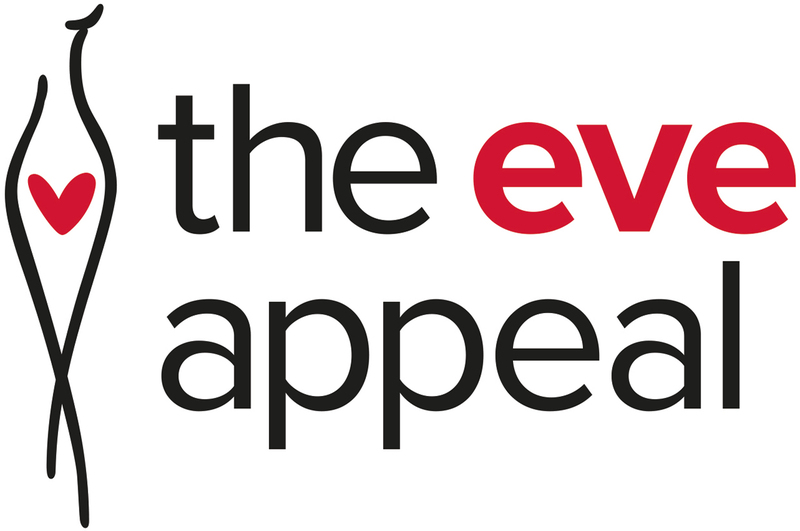 At The Eve Appeal we understand the importance of providing relevant, up-to-date, evidence-based information for those who have recently been diagnosed with a gynaecological cancer, or for those friends and family who may be worried about a loved one. 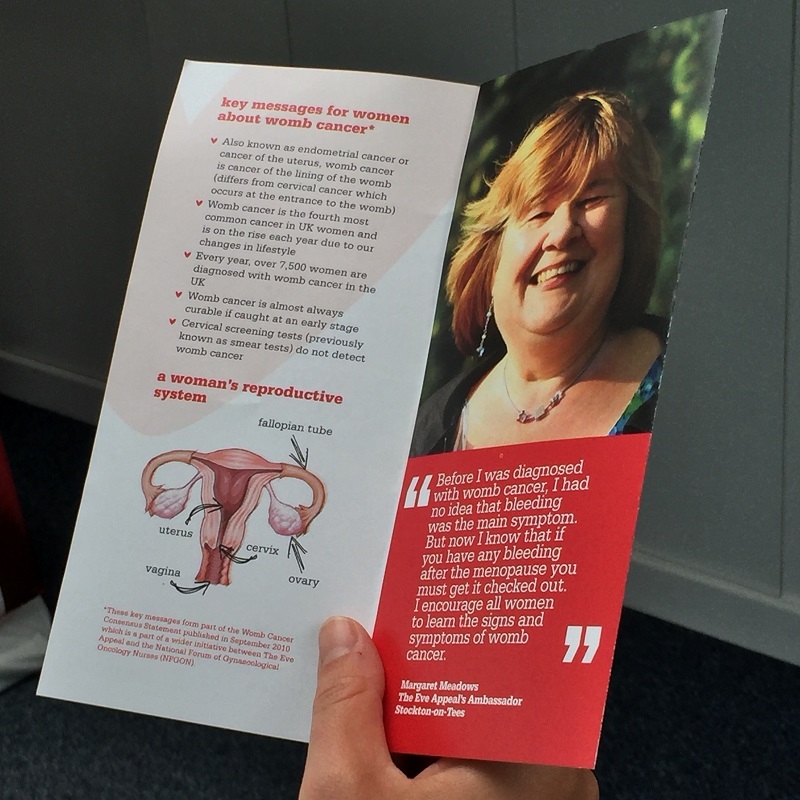 We have a wide-range of information materials which cover all five gynaecological cancer: Womb, Ovarian, Cervical, Vaginal and Vulval, which you can download for your own use. 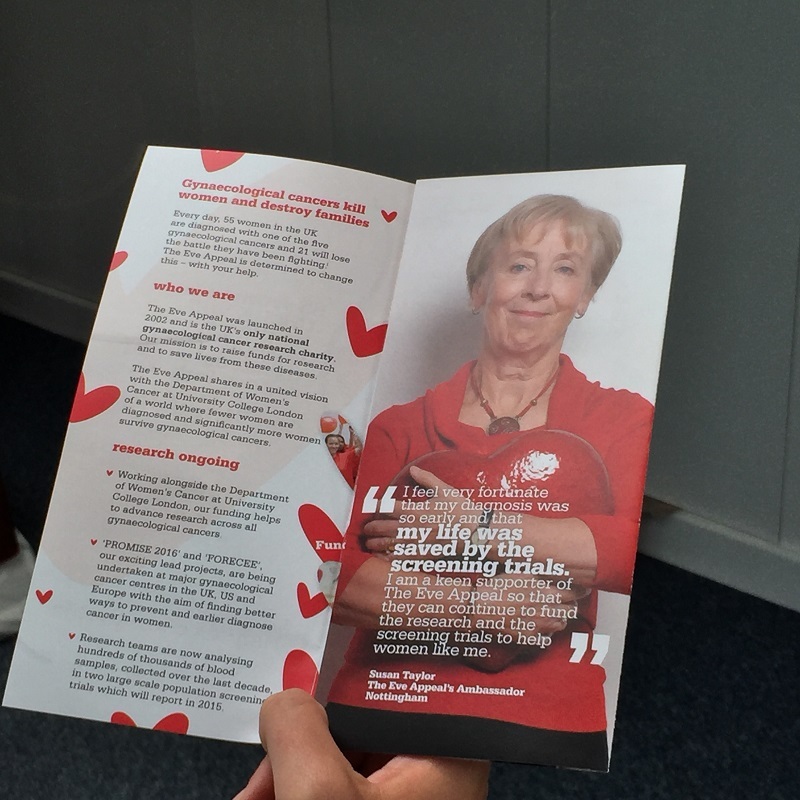 If you would like physical copies of our information leaflets for awareness raising purposes please get in contact with our team on 020 7605 0100. What women need to know about Gynaecological cancers. What women need to know about…Womb Cancer. 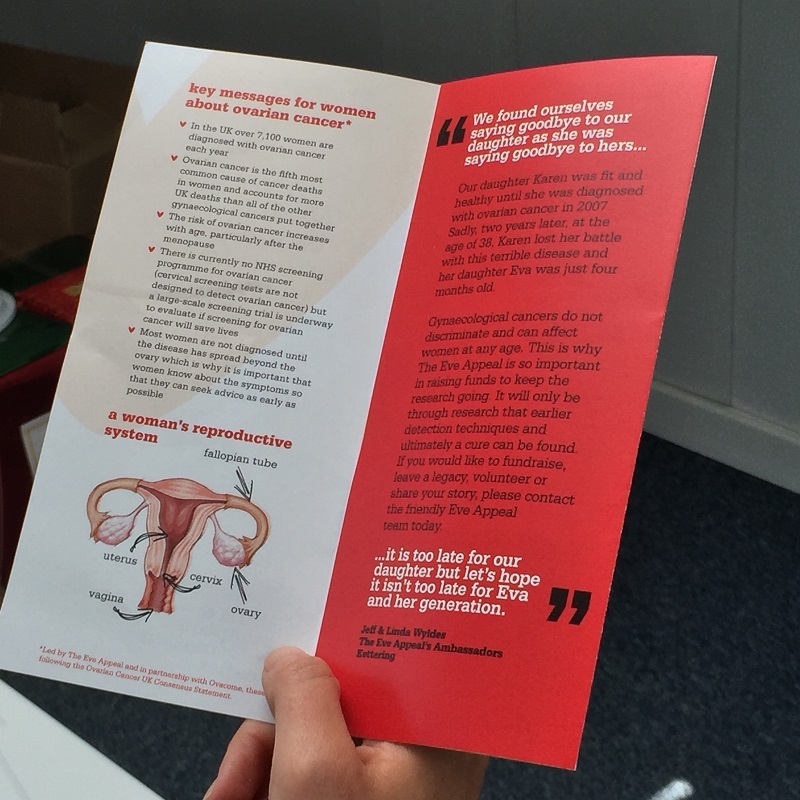 This leaflet details key information about womb cancer including signs and symptoms, risk factors and how to reduce your risk of developing cancer. What women need to know about…Ovarian Cancer. This leaflet details key information about ovarian cancer including signs and symptoms, risk factors and how to reduce your risk of developing cancer. What women need to know about Cervical Cancer. 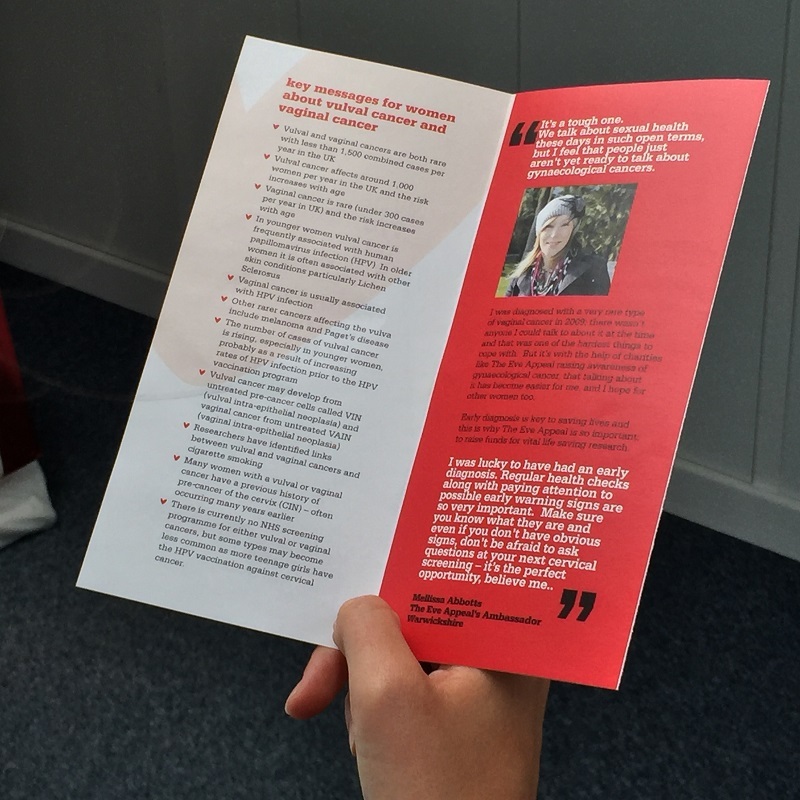 This leaflet details key information about vulval cancer including signs and symptoms, risk factors and how to reduce your risk of developing cancer. 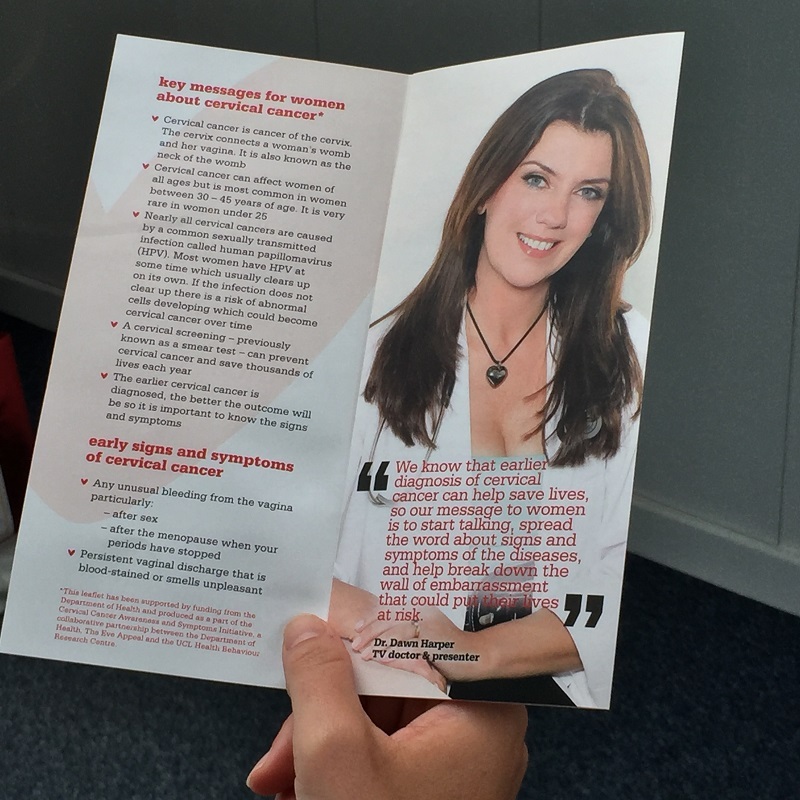 This leaflet details key information about vaginal cancer including signs and symptoms, risk factors and how to reduce your risk of developing cancer.